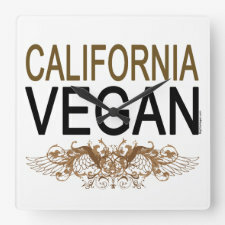 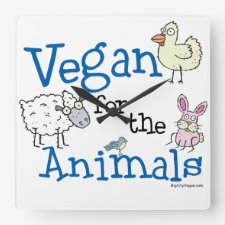 Vegan clocks, wall clocks and vegan home decor are perfect for spreading the vegan lifestyle message in your vegan home, office or vegan business. 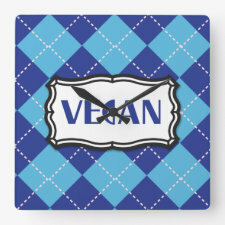 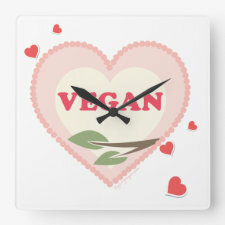 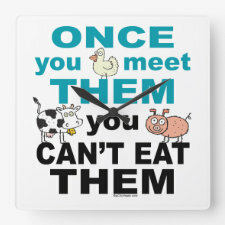 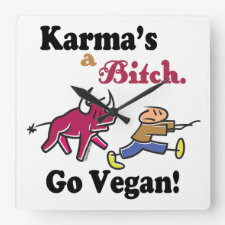 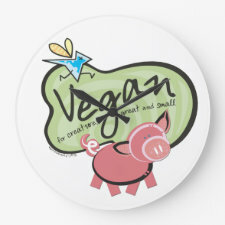 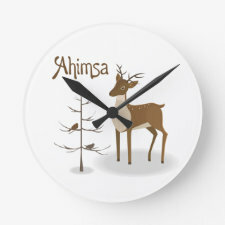 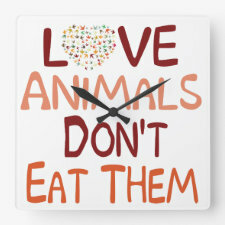 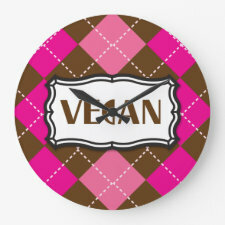 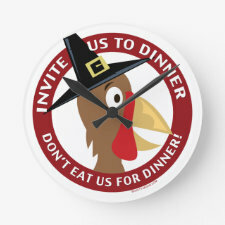 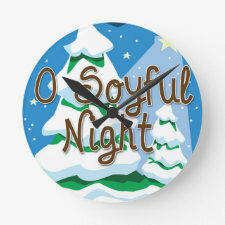 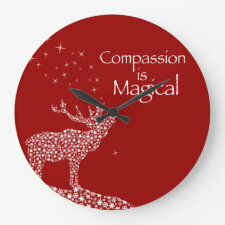 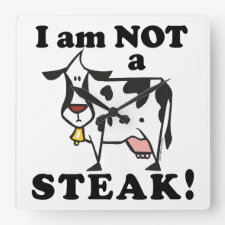 Our vegan clocks feature cute and pro-vegan message designs. 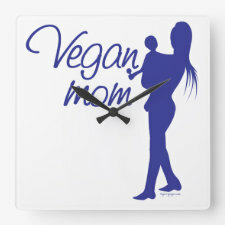 Fun vegan home decor and home accents for vegans passionate about the vegan life and wanting spread the healthy animal-frienldy vegan message.